FREE Fraser Valley Market Report, Metro Vancouver, or Greater Vancouver, please advise me which one you would like? What is the market speed for your price point, style of home and neighbourhood? Is it indicative of a buyers, sellers or balanced market? The past thirteen month trends for sale prices, active listings, and number of sales. 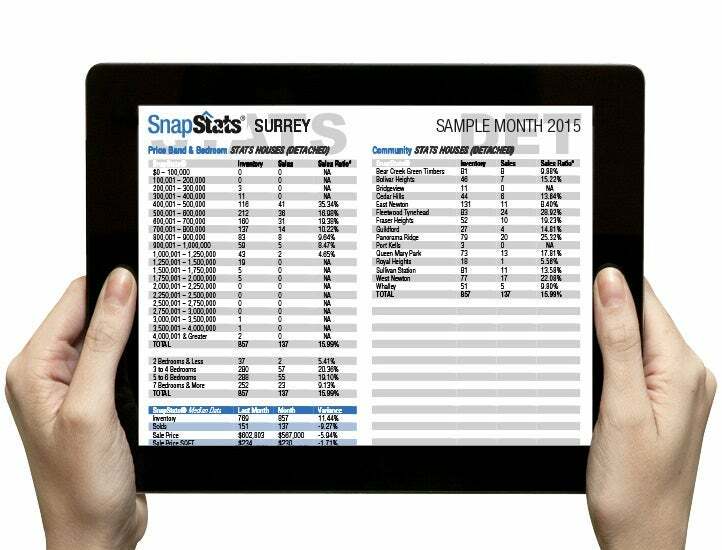 SnapStats® will educate you about opportunities of current inventory levels, prices, and market types today so that you can capitalize on these markets tomorrow. Once you sign up, you will receive your first SnapStats report within 24 hours from us. Fill in the simple form below and message me which one/ones you want, to get your FREE report/s!